The Golden State Warriors are tipped to win their third straight NBA Championship this season (Getty Images). The Golden State Warriors are attempting to become the first team since the 2000-2003 Los Angeles Lakers to win the NBA Championship for a third consecutive time. The signing of DeMarcus Cousins gives Golden State their fifth NBA All-Star as coach Steve Kerr attempts to improve an already unstoppable Warriors team. Golden State are predicted to emerge from an overcrowded Western Conference packed with title contenders and get the job done. The Boston Celtics are tipped to come out of the Eastern Conference but can they compete with the Warriors in a seven game series? The Warriors won 58 regular season games last season, but might struggle to hit the target of 63 games in the new NBA season that gets underway on October 16. Golden State were victorious last season to clinch their third NBA Championship in four years. A 4-0 clean sweep of LeBron James and the Cleveland Cavs in the NBA Finals was as convincing as it gets. The Warriors did it after surrendering top seed in the Western Conference to the Houston Rockets for the first time in three years. Injuries to their stars saw Golden States’ bench depth tested as the Warriors finished second in the West with a regular season record of 58-24. Golden State showed they could cope with the losses of Kevin Durant, Steph Curry, Klay Thompson and coach Steve Kerr at various stages last season. A healthy Warriors were able to regroup and go to another level in the playoffs. 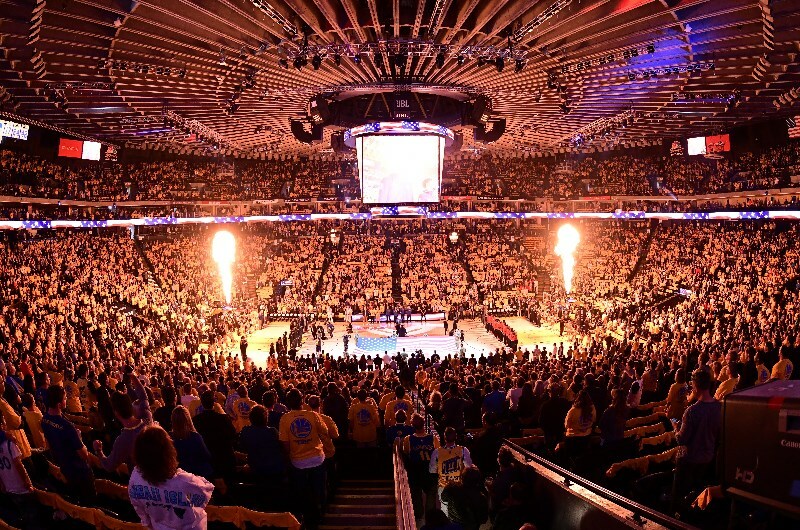 The Golden State Warriors have a great record at the ORACLE Arena. Will they make it a fortress in the 2018-19 NBA season? (Getty Images). The addition of DeMarcus Cousins gives the Warriors their fifth NBA All-Star on their roster and a huge advantage in the paint. Cousins is still recovering from a torn achilles and is expected to return in January. He gives the Warriors a physical presence in the paint and will ease the pressure on Draymond Green to cover the boards. Coach Steve Kerr will be attempting to build an offensive system that gets the best out of the big man who is the best centre in the league when healthy. The Warriors backroom saw plenty of potential in Cincinnati's Jacob Evans. The 28th pick in the first round averaged 11.7 points, 4.3 rebounds, 2.5 assists per game in his three seasons at Cincinnati and has the potential to impove. Power forward Jonas Jerebko was signed on a 1-year contract from the Utah Jazz and guard Damion Lee joined from Atlanta on a two-way contract. Kevin Durant and Kevon Looney re-signed to commit to the franchise. The Warriors lost frontcourt bench depth to make room for DeMarcus Cousins. David West retired, Omri Casspi joined the Memphis Grizzlies, Zaza Pachulia went to the Detroit Pistons and JaVale McGee left for the Lakers. None were regular starters but all played valuable minutes in the successful 2017-18 season. The likes of Jerebko, Looney, Jordan Bell and Damian Jones can step up in their absence before Cousins returns. Complacency won’t be an issue for Steve Kerr’s side and I’m confident the Warriors will clinch their third NBA Championship. Cousins will miss a significant chunk of the season but once he returns and gets adjusted, this team are virtually unbeatable in a seven game series. There is value taking under 63.5 wins given how tough the Western Conference is this season. The Warriors surrendered top spot in the Western Conference last season with 58 wins, knowing that the only thing that matters is peaking for the NBA Finals. Can anyone stop Golden State in 2018-19? Basketball Can anyone stop Golden State in 2018-19?